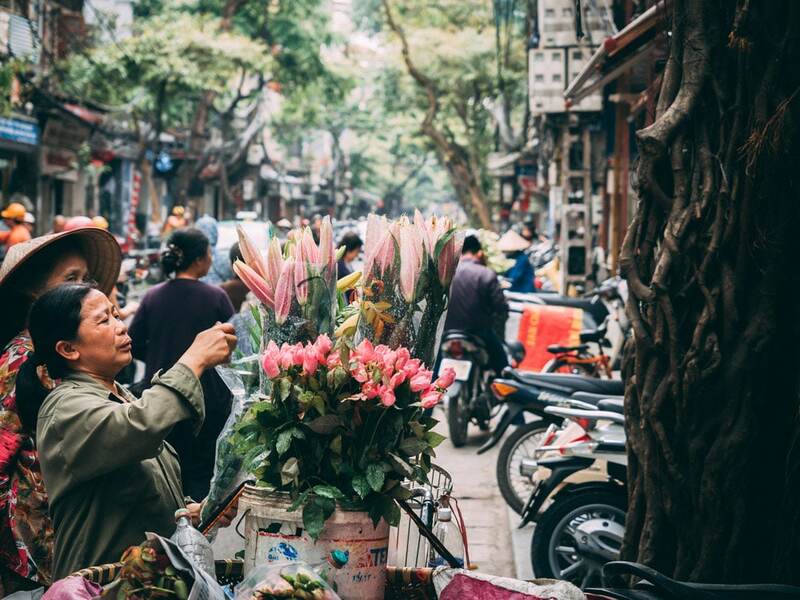 Hanoi, the capital city of Vietnam, is a bustling destination to explore. The heart of the city lies in the old quarter, with the motorbikes buzzing through the tiny streets and skinny buildings holding each other up. After visiting Hanoi three times and spending a month there on our latest trip, we know that the location and hotel that you choose to stay can make your trip even better if you get it right. In our Hanoi accommodation guide are our picks for where to stay in Hanoi and the best hotels in Hanoi Vietnam. How Long To Stay In Hanoi Vietnam? So which area to stay in Hanoi Vietnam? 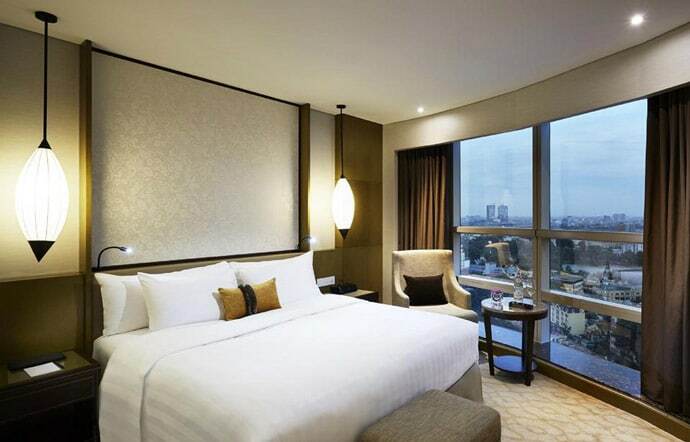 When it comes to deciding what area to stay in Hanoi, there are a few main options. The main area to stay in Hanoi is the area around Hoan Kiem Lake, which includes Hanoi Old Quarter and Hanoi French Quarter. Other options include the Ba Dinh district and Hanoi West Lake or Tay Ho district. 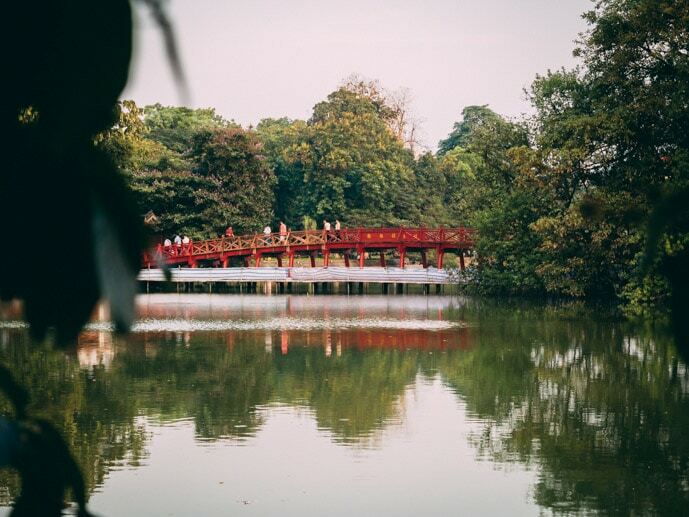 The area around Hoan Kiem Lake would definitely be the best area to stay in Hanoi for a first-time visit. It is full of life, local architecture and culture. 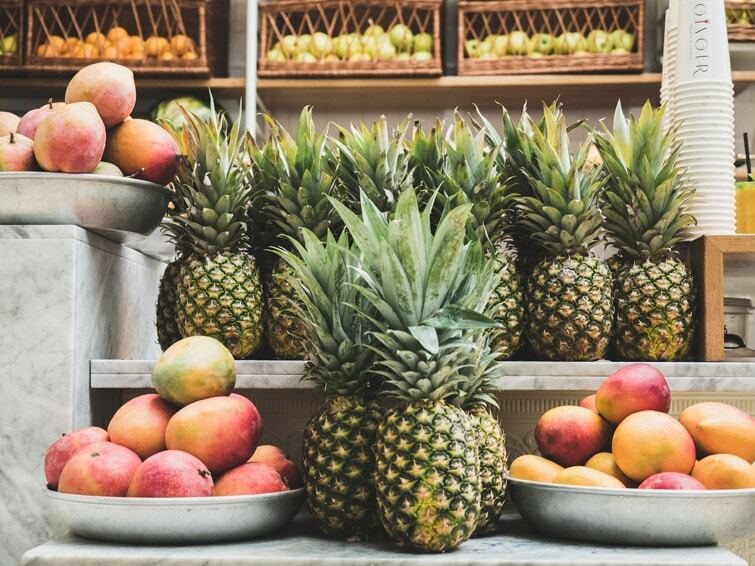 There are a lot of places to eat and things to do within walking distance. The streets of the Old Quarter are often known for selling one thing, for example, the street that sells shoes or hardware street. There are a lot of street stalls and restaurants. 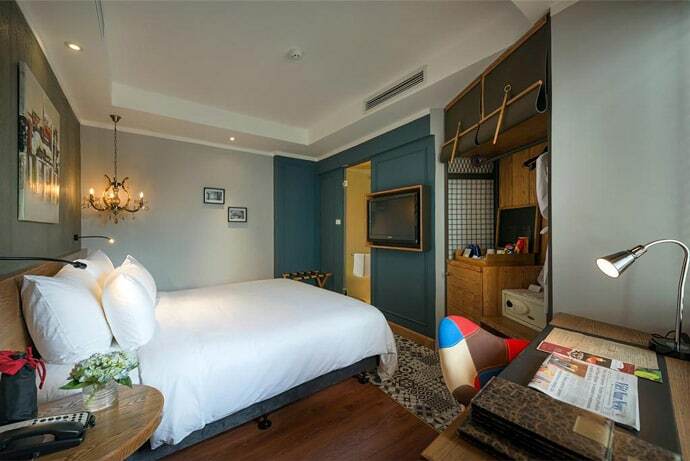 Hanoi Old Quarter is where you will find some of the best budget hotels in Hanoi. See our Hanoi Accommodation guides below for where to stay in Hanoi Old Quarter. 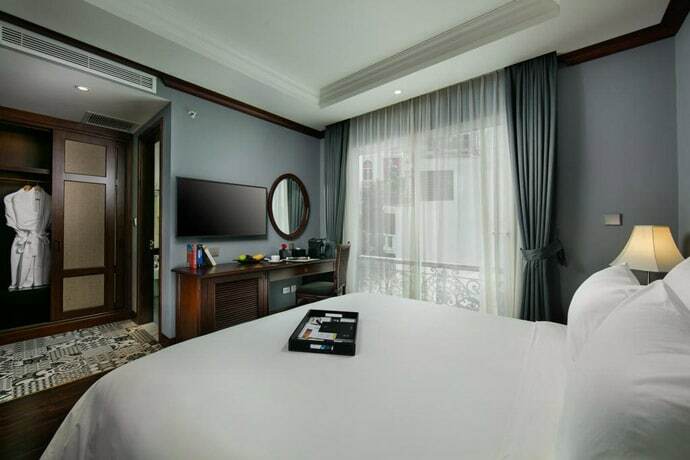 This area is particularly busy, so if you were after something a little quieter and fancier but still in the Hoan Kiem Lake district, then I would stay in Hanoi French Quarter. 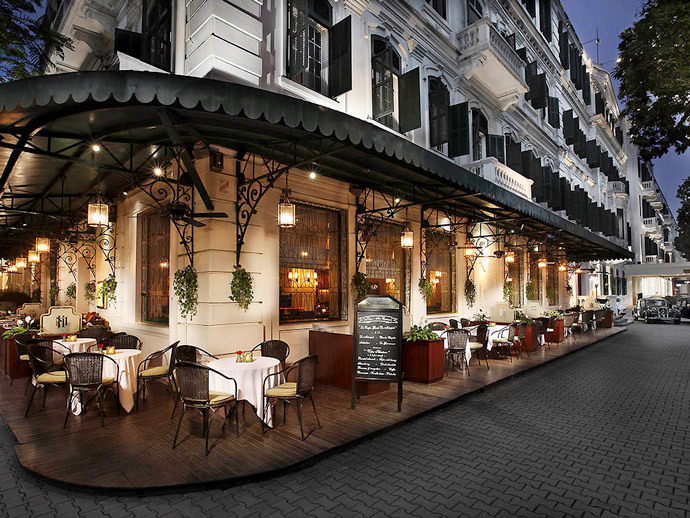 Hanoi French Quarter is where you will find some of the top hotels in Hanoi. Ba Dinh is another area to stay in Hanoi. 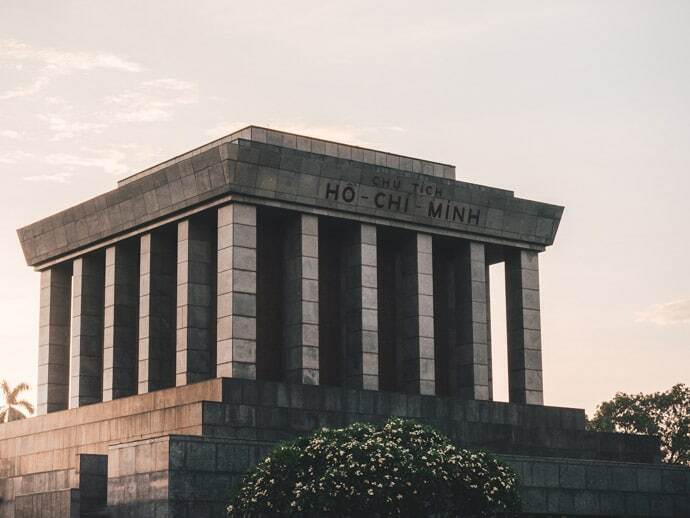 This area has a lot of sites, such as the Ho Chi Minh Museum and Mausoleum. There is more of a neighbourhood feel but there are also fewer restaurants in this area and things to do at night. Personally, I would recommend Hoan Kiem area unless you have stayed in Hanoi before, or unless you want a less touristy feel and are happy to take taxi’s regularly. 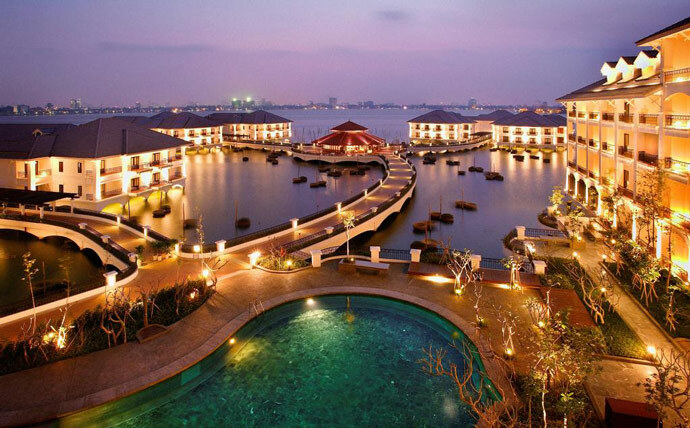 Hanoi West Lake, otherwise known as Tay Ho, is another area to stay in Hanoi. This area is a little further away from the city centre, and I would only stay here if you had a nice hotel with good food options and were happy to get taxi’s everywhere. It can be relaxing if you have a hotel by the lake. 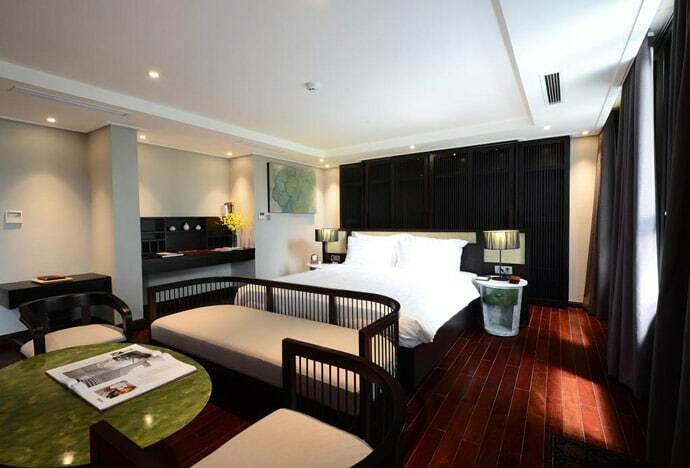 Where Is The Best Area To Stay In Hanoi? We have stayed in all three areas, and each had their pros and cons. Overall though, for your first trip to Hanoi, I would recommend the area around Hoan Kiem Lake. This area is full of life and character. Hanoi French Quarter is our pick for the best area to stay in Hanoi, but if you’re after a little more value for money there are plenty of options in Hanoi Old Quarter. So how many days to stay in Hanoi Vietnam? 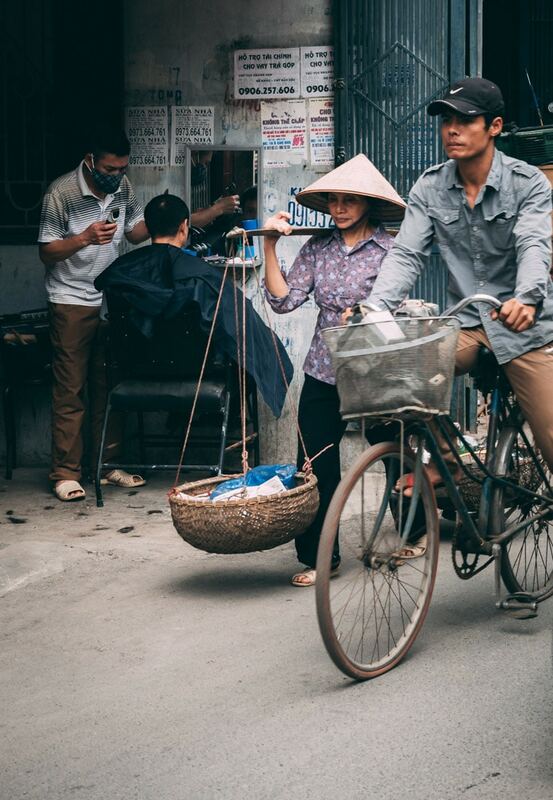 Hanoi is the capital of Vietnam and there is so much to discover here, from the food to the culture to the sights. On our last trip, we spent one month in Hanoi, and we love Hanoi more each time we visit. As a minimum, we would recommend at least 3 to 4 days in Hanoi to get to know the city. Most day trips from Hanoi, in our opinion, are best done as overnight or a few night trips. Visiting places like Ha Long Bay and Ninh Binh, require so much more time than a day trip, and they both take some time to get to as well. When booking accommodation in Hanoi, there are two main websites that I use. 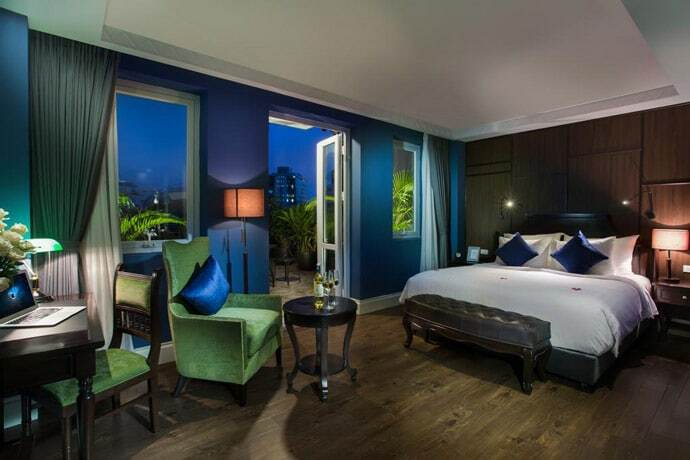 Booking.com has some of the best prices and a large number of accommodation options available, so you will be sure to find all of the best places to stay in Hanoi Vietnam. We love using it for our travels. I love seeing what’s available from Airbnb in Hanoi, from getting to stay with a local host or having your own place to yourself, there’s something for everyone. We have put together a guide of our favourite accommodation in Hanoi from our experience of our time there and research. 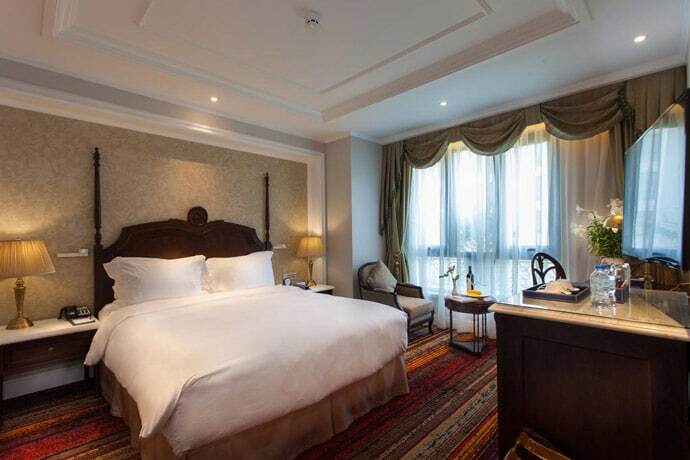 This includes the best hotels Hanoi Old Quarter Hanoi, the best hotels in Hanoi French Quarter, the best luxury hotels in Hanoi, the best boutique hotels in Hanoi and Hotels in Hanoi under $100. 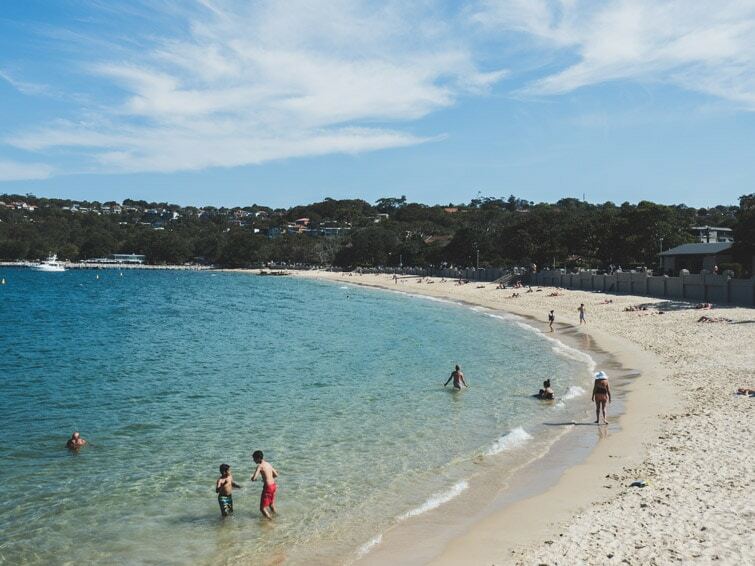 Please note: Prices below were based on peak season, per night and are in Australian Dollars. Prices were correct at the time of publishing this article. We will continually update this post to make sure we’re recommending the best Hanoi Accommodation, to help you choose where to stay in Hanoi. Please note that some of the links above are affiliate links, which means that at no extra cost to you, we may make a small commission if you decide to book a hotel.